Listening to Broken Record it got me wondering when a song like this went out of fashion. Was it 1979 or 1980? It makes me think of the hitsingles that came by at the time like Blondie's 'Hanging On The Telephone', The Romantics' 'What I Like About You', The Knacks' 'My Sharona'. In other words songs that sort of pretended to be punk, but in the end proved to be perfect (power)pop songs. As soon as they came they sort of went again. It took me several more years to figure out these bands played their own originals but variations of great 60s pop tunes. Only faster and louder, more brazen. Enter Rum Bar Records. Relentlessly it keeps releasing singles, EPs and albums full of this kind of music. 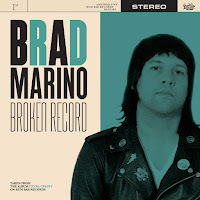 Having already written about 'C'Mon C'Mon C'Mon' recently (read on here: http://wonomagazine.blogspot.com/2019/01/cmon-cmon-cmon-brad-marino.html), this time I'm able to share with you my findings of Brad Marino's second single of his forthcoming album 'Extra Credit'. There's no need to keep you any longer, this is just sheer fun. 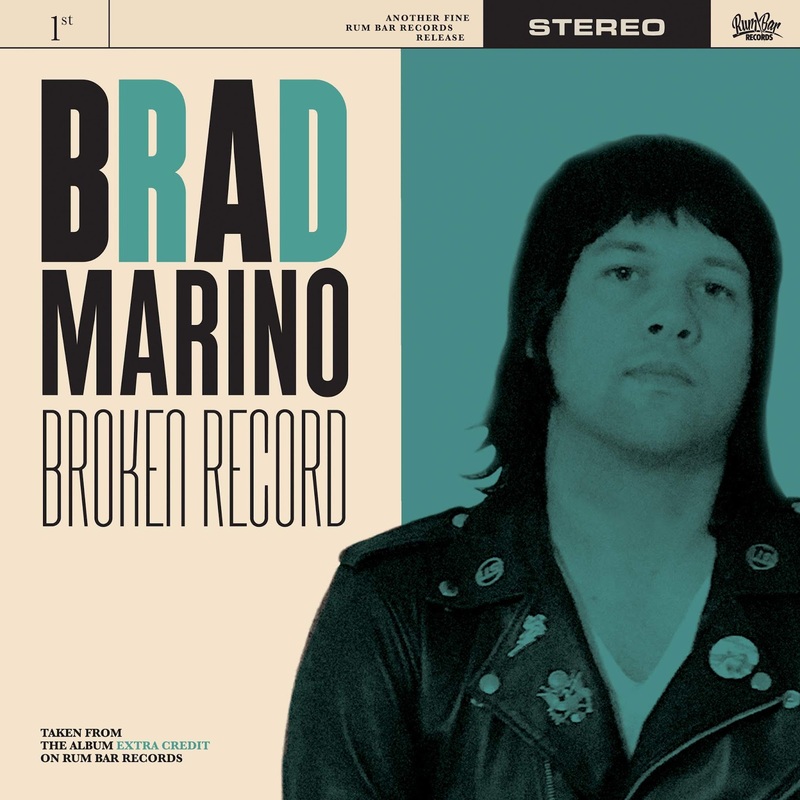 Brad Marino manages to capture decades in his song. The perfect pop of the 60s, the snottiness of punk and the directness of the 00s and 10s. With 2.26 minutes Broken record could have been a single in the 60s without any problem. The guitars are strummed fast and muted, being released in the choruses. With little lead notes coming in later in the song, just before a short and sharp solo is allowed for. A Hammond joins in making the song just a little warmer, as does the lift up in the chord progression. Drums and bass deliciously tight. Add a melody that is instantly singable and Brad Marino has produced another hit (in another era unfortunately). He has me waiting full of expectation for Extra Credit. Keep it coming Rum Bar!